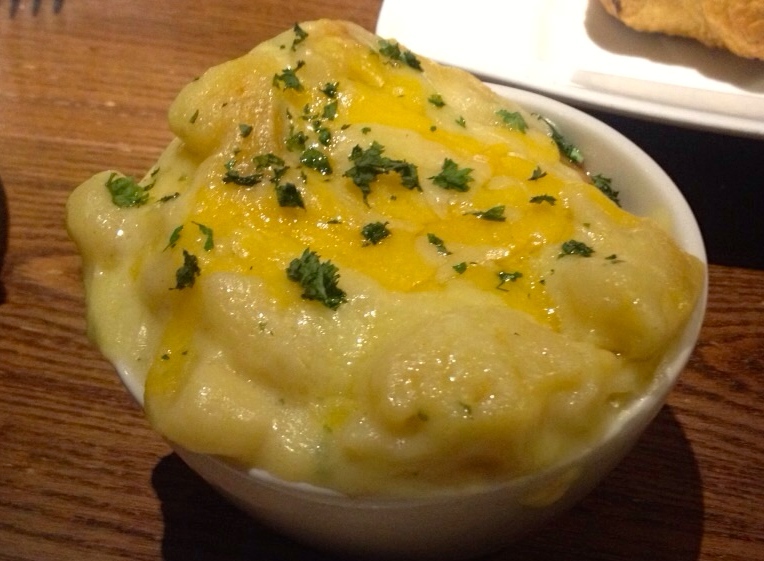 Last friday night we had a trip to Miller and Carter, Solihull. The table was booked for 9.15 but we got there relatively early and had a few drinks at the bar. 9.15 came and went, and we were eventually seated at 10.05!! Considering we had booked I thought this was pretty poor, but appeared that we weren’t the only ones in this situation. I was a bit concerned that the food wouldn’t be up to scratch as it was so busy, but the meal was lovely. The only problem I found was that I had gone past the hunger stage as we had waited so long for our table, so didn’t enjoy it as much as if I had eaten it when I was actually hungry but I digress. We went for a light starter, going for the Lemongrass & Chilli Tempura King Prawns and the Due of Duck Parfait. The prawns were so light and crispy, perfectly cooked and just the right amount for a starter. The duck parfait was rich and creamy and the flavours really came through. Obviously, when you go to Miller and Carter you have to have steak. I went for the 12oz Ribeye with a Béarnaise sauce and a side of Lobster Mac ‘n’ Cheese and the BF went for the Fillet Wellington. Both steaks were perfectly cooked, really juicy and tender and just bloomin lovely! I will definitely be trying the Wellington for myself next time as the pastry was really light and the mushroom pate on the steak had real flavour rather than just being there to do its job of stopping soggy pastry! We just didn’t have the energy to finish it all off so the chips went relatively untouched and so did the mac ‘n’ cheese which was such a shame as it was so creamy and gorgeous I really wanted to eat it all! No puddings for us this time, but maybe we will get the chance to go back another time and actually eat at a reasonable hour!!! All in all the service once at the table was brilliant and food brilliant and I would definitely recommend you give Miller and Carter a try if you haven’t already, they just need to get the whole timing issue sorted out at busier times!!! Have you tried your local Miller and Carter yet? Where would you recommend for a decent bit of meat?!! I didn’t know there was a Miller and Carter in Solihull! The prawns look lovely, shame about the long wait. It’s just on the outside of Solihull in Shirley, sort of on the way to Dickens Heath. The prawns were lovely as was everything else!